Only the warming rays of the sun have enabled life on our planet. The warmth we feel in the sunlight, but also in front of a fireplace or a stove, is infrared radiation. On a winter day the cool air does not bother us as long as the warming rays of the sun reach us directly. Infrared radiation overcomes the distance between the sun and the earth nearly without losses and turns into heat once hitting the surface. In contrary to UV or X-ray radiation particularly the long-wave infrared-C range has a positive impact on human well-being. 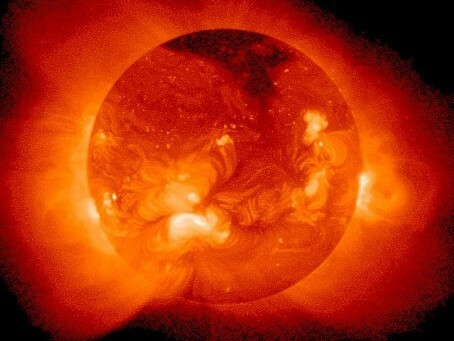 It’s thanks to the sun that we have life on Earth, due to its warming rays. Infrared radiation is the warmth we feel when standing in the sunlight, or in front of a fire. In the winter months, we feel warmer when the sunlight shines on us, when its rays reach us directly and cold when the sun disappears behind a cloud, blocking the rays. The Sun’s rays cover the distance to the Earth with almost no loss, and turn into heat when they meet the Earth’s surface. Unlike the UV rays that the Sun produces, the long wave infrared C rays have a positive effect on our well-being, giving us that ‘feel good factor’ that we experience on sunshine holidays! Using the principles of solar radiation, Infrared heat panels provide a comfortable level of heat to every room. Using carbon fiber fabrics designed especially for the panels, they generate long-wave infrared C radiation directly. 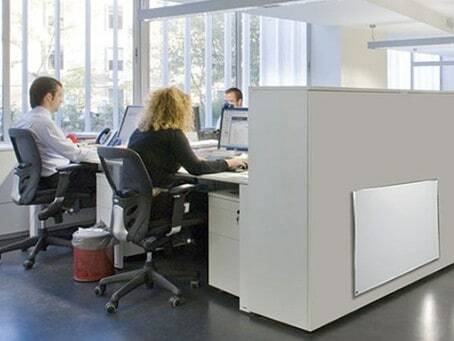 Unlike convection heating methods, such as radiators or fan heaters, the infrared panels do not use air to transfer the heat, instead the rays turn into heat wherever they meet an object or mass, such as a wall or the floor. The heat is stored in these objects, and released evenly throughout the room, keeping the walls, floor and ceiling warm and dry. In fact, Infrared heat panels are an excellent cure for properties suffering from damp. The panels are almost 100% efficient, with practically no energy losses, unlike boilers or central heating systems, which can lose around 20% of the generated heat before they even start to heat a room. Infrared heating keeps the walls warm and dry avoids the risk of condensation, mould or damp, without reducing the humidity in the room the way convection heaters do. Unlike conventional heating systems, air flow is not relied upon to transfer the heat around the room, therefore no dust circulation is produced. It’s thanks to a German born British astronomer, who whilst testing filters for observing spots on the Sun, found that one of the filters produced heat, the red filter. Sir Frederick William Herschal, on Febuary the 11th 1800, passed sunlight through a prism. He measured the temperature of each colour produced, when he placed the thermometer beyond the red end of the spectrum, outside of the coloured area, the temperature was considerably higher. Thermal radiation was discovered, or infrared heat, as we know it now. Cheaper to install than a conventional heating system, and by using components of the highest quality, our panels have an almost unlimited life expectancy. Installation is easy, no pipe runs, no floorboards need lifting, simply hang on a wall or ceiling, or use the optional feet for floor or shelf standing, and plug in! With simple, elegant designs, the slim panels merge into any room in harmony. When used with the optional thermostatic controls, achieve the perfect temperature in individual rooms, in accordance to you requirements. You can even have different levels of heat in areas of the same room. 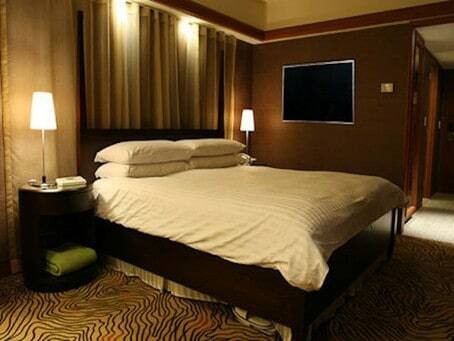 Infrared panel heaters don’t cause dust and bacteria to circulate around the room like a traditional heating system. Providing an even heat across the whole room, keeping walls dry, and damp free, helping to preserve your property. The even heat distribution means no more cold feet! Manufactured from components that aren’t harmful to the environment, when used in combination with solar PV systems, infrared heating is the most eco-friendly and economical way to heat your property. Not only is Infrared heating cheaper than heating the air in the room, but because it leaves the room damp free, reduces dust circulation, and doesn’t dry the air, it’s a much healthier environment. Helping increase blood circulation means a stronger immune system too!